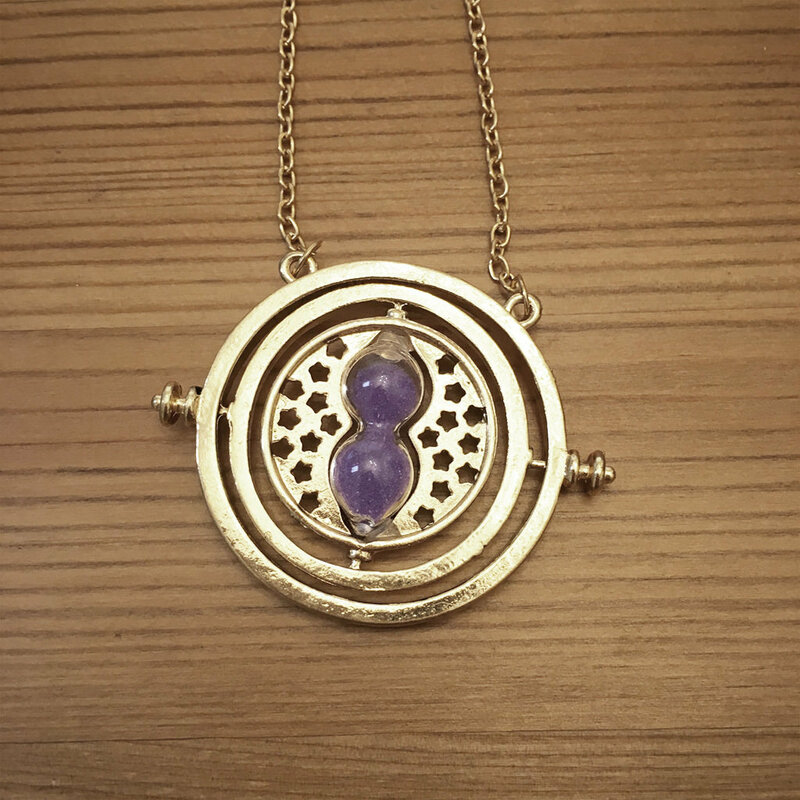 Hourglass necklace – purple | Necklaces – Geek Girl Stuff – Geekery, art, jewelry, and more! Go back in time* with a spinning hourglass necklace! These necklaces spin in two places and includes purple sand in the center. Perfect for any wizarding, magic, and other geeky occasions! * not an actual time machine.